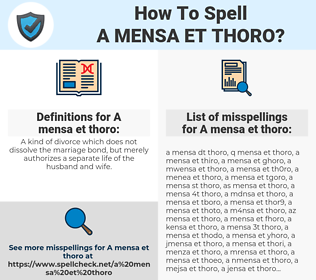 How To Spell A mensa et thoro? What are the common mistypes for A mensa et thoro? What is the definition of A mensa et thoro? What are the translations for A mensa et thoro? 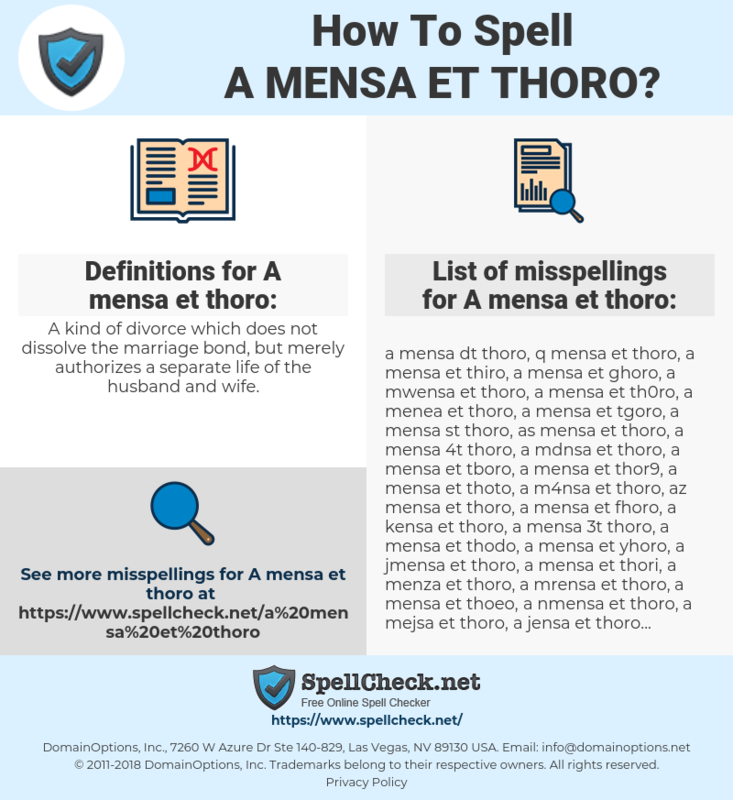 What are the common typos for A mensa et thoro? A kind of divorce which does not dissolve the marriage bond, but merely authorizes a separate life of the husband and wife. This graph shows how "A mensa et thoro" have occurred between 1800 and 2008 in a corpus of English books.